Written for the Mormon Tabernacle Choir, this new arrangement of the well-known spiritual is presented in two versions: one for mixed chorus and the other for men 's voices. Each version opens gently with an effective unaccompanied unison section, and the accompa niment and further choral parts are gradually added. In classic Wilberg style, the piece builds up v erse by verse with expanding textures, via two upward modulations, towards a grand and triumphant cl imax, leaving no doubt about the joy expressed in the text. 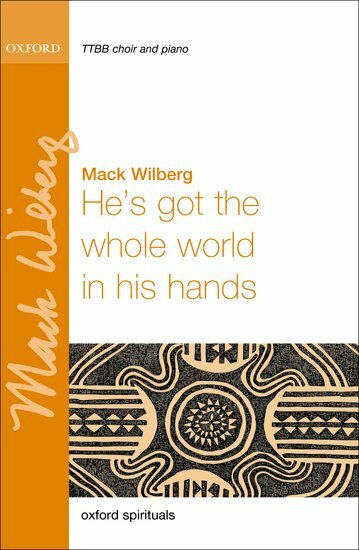 The male-voice version of He's got the whole world in his hands features on the CD 'Men of the Mormon Tabernacle Cho ir', with the Orchestra at Temple Square, conducted by Mack Wilberg.